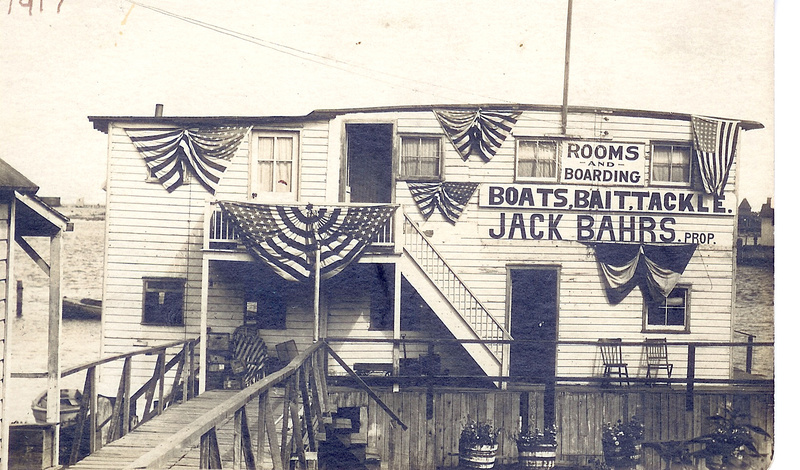 Founder John “Jack” Bahrs, born 1880, was the grandson of a ship captain. In 1910, he and his wife Florence(nee Crelin)lived on Walnut Street in the Dutch Neck section of Newark, N.J. with the Crelin family. John Bahrs and Brothers Necktie Factory was listed in the buyers guide of the New York Times in February of 1908 and was located at 313 Market Street. William K. Bahrs, born 1840, wrote that the business was “doing as good as could be expected in a year with a panic” referring to bank failures. However, in December of 1907 the necktie operation had been robbed of several bolts of silk and dozens of finished neckties. The robber, George “Humpty” Williams was caught and confessed to this and other area thefts. John tried to conduct the necktie business from home after the robbery. 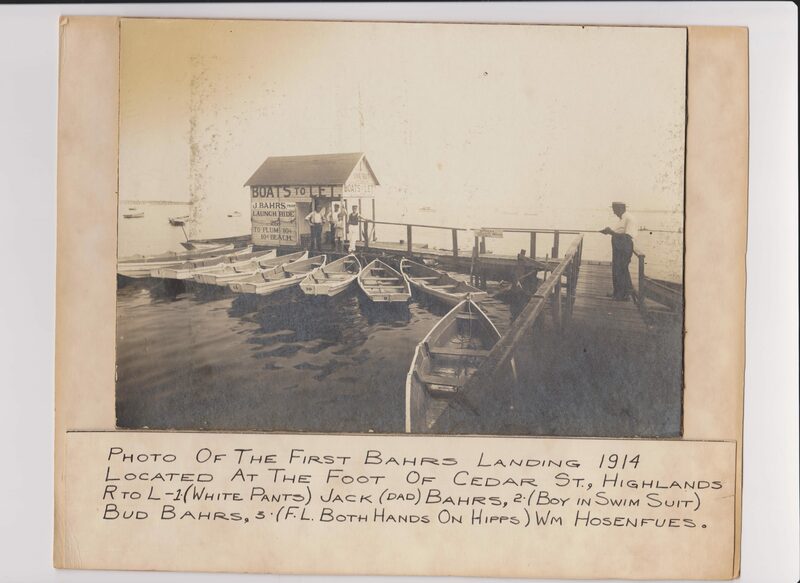 In 1913 Jack operated a boat rental business at the foot of Cedar Street in Highlands while his children played on the sandy banks of the Shrewsbury River and collected clams. 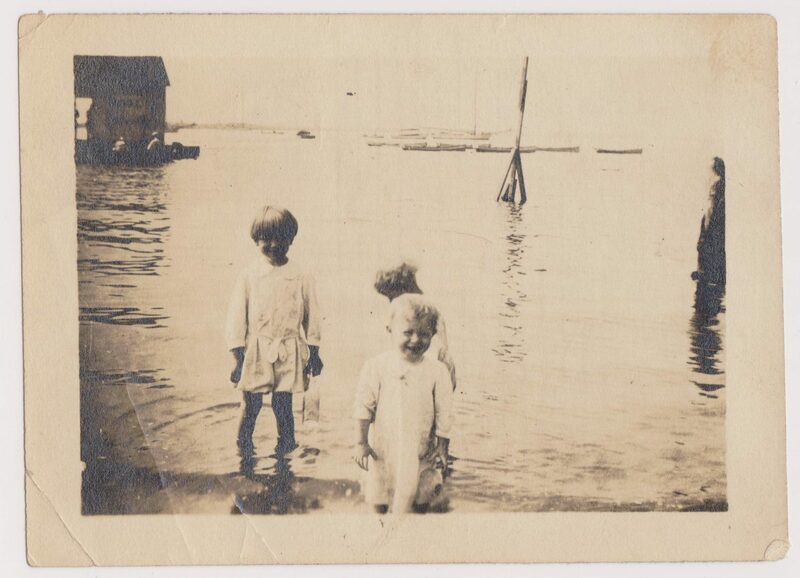 There were bungalows with oil stoves at this site and the family lived in one of these during the summer while they rented out boats, sold spearing, worms and soda to fishermen. For a number of years the family would head back to Newark during the off-season. 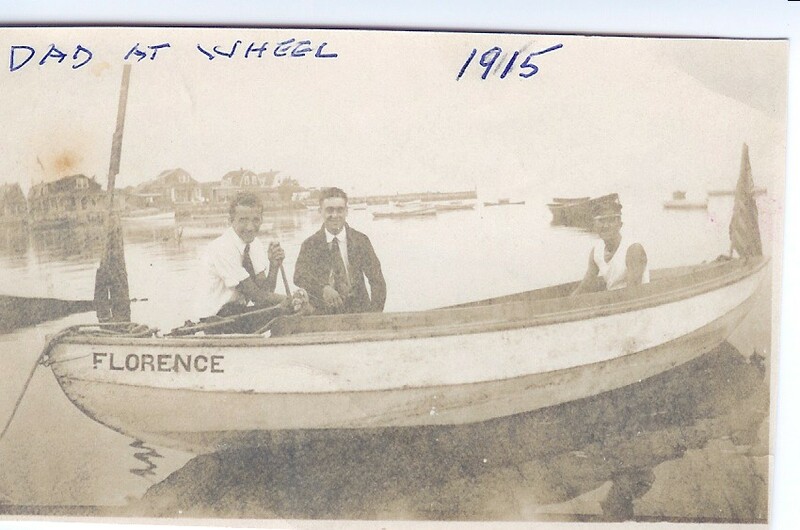 In 1917 they purchased or rented the McGuire Boathouse on Bay Avenue and moved the rental boats over to this new location. Jack also worked on the Port Newark-Elizabeth Marine Terminal, the construction of which was accelerated during World War 1, when the federal government took control of the Port. 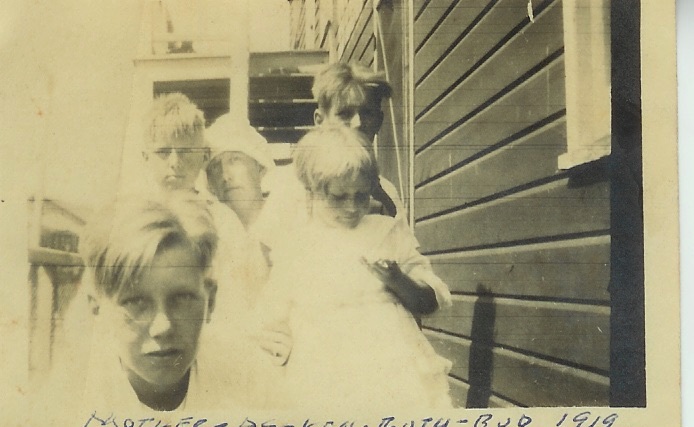 Jack, Florence and the four children, John(Bud), Al and Ken and Ruth, worked hard together selling bait, renting rowboats and cooking up dinners for fishing parties that would come down on the train Friday night and pay $2.50 for room and board. The street view photo above has the pots planted, bunting hanging and a raised walkway to the street. 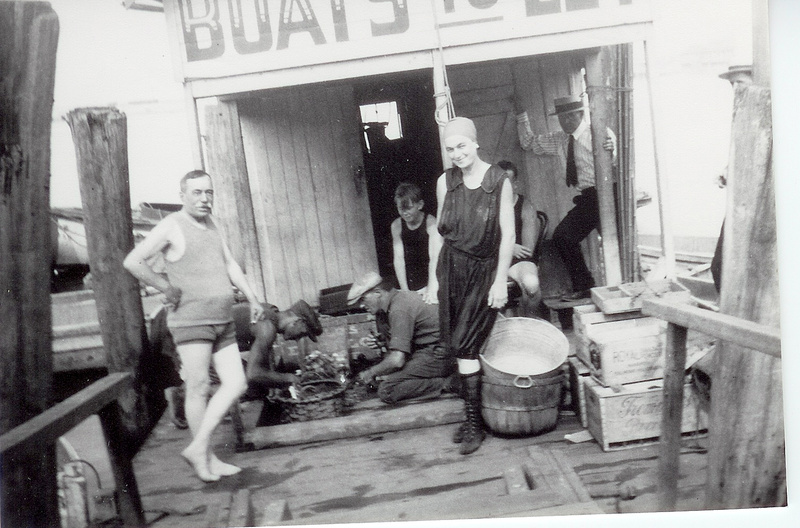 The two story houseboat had a coal stove in the kitchen and a potbelly stove in the living room. There was an upstairs room with four bunks and another with six bunks. Today, the houseboat structure remains as the interior of the main dining room and reception area as well as the upstairs. By 1919 the boathouse has a fresh coat of red paint and a boat named for the Bahrs boys, The BUDALKEN. Eldest child John “Buddy” is in the foremost of this photo holding Mackey his new black labrador retriever. 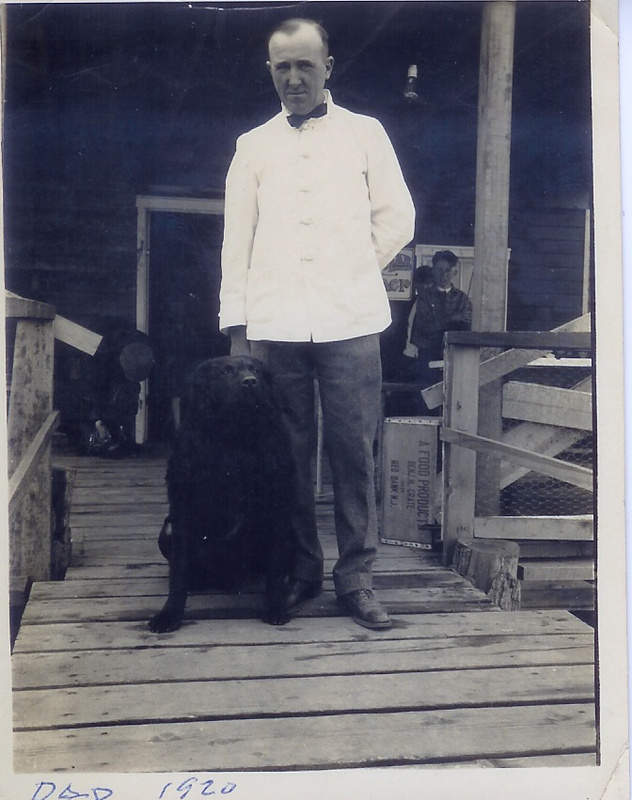 Click here to see John Bahrs in a 1920 photo taken on the back porch of Bahrs Landing with Mackey now a much larger dog. 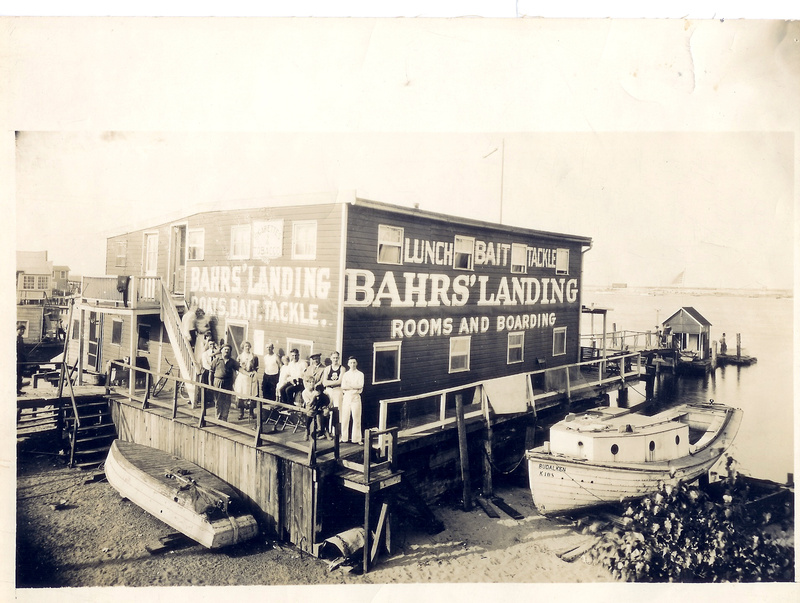 Bahrs Landing has always been dog friendly.